Some of the most interesting games I have found at thrift stores are the 3M Bookshelf games. It was such a clever idea for storage. The games, as the name suggest, could be stored neatly on your bookshelf just like a book. Over the years, I have found quite a few of them with my most recent find being Ploy. stimulating space-age strategy game. The object is to eliminate the opponent’s Commander or all of his forces. The range of value for these games is all over the place. For example, Ploy is worth about $10-20 in great shape, while a recent eBay auction for an unplayed version of Bazaar sold for about $55. Jati, seems to the the game to get from the series, although I can not find a definitive value on the prototype game. I stumbled across some interesting histories of the games and their development. According to this blog entry, some of the games were actually designed by employees. The company also relied on freelancers to supply game ideas — and they received 400-600 submissions annually. 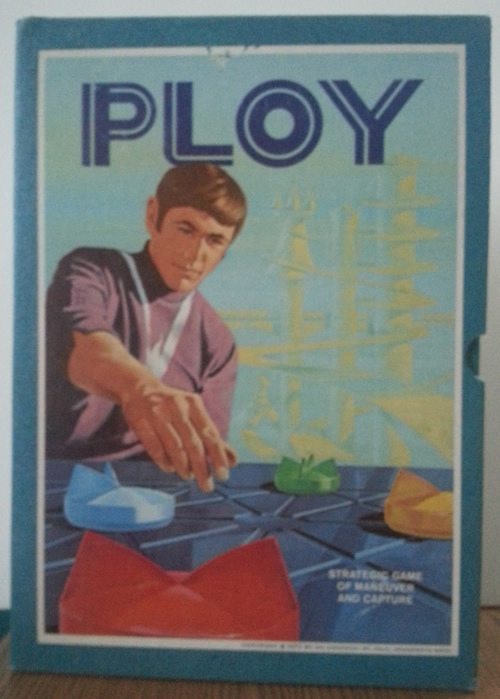 The games were produced by 3M from 1962-1975. The line was eventually purchased by Avalon Hill and the line was discontinued in 1998. One of the games that survived the shift was Acquire and if you can find the 1999 Avalon Hill version of the game it has some value. Games in nice condition can sell for as much as $100. To learn more about the 3M Bookshelf Series board games, visit BoardGameGeek.